This quote captured Viviana Widjaja's attention--she is an entrepreneur who has some online businesses in Malaysia--when she read Fida Abbott’s personal blog. She had an opportunity to do the e-mail interview with her, a new published author in USA who wrote her first novel, titled Enthusiasm. Let’s find out from the interview why she choose a career as a published author, how enthusiasm can play an important role in her life, and what readers can learn from her story. 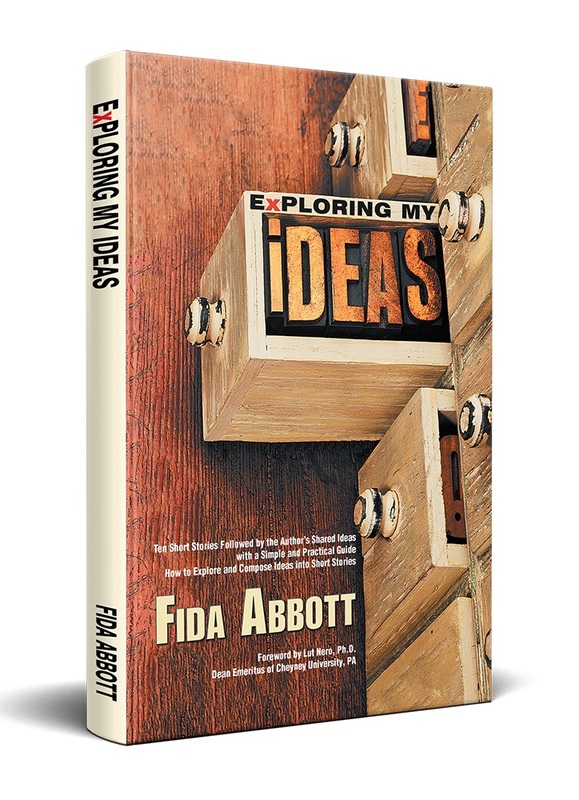 Below is her eleven questions in her interview with Fida Abbott. 1. What made you pursue a career as a published author? Well, I think before I answer that question, I better explain why I write. I like writing. It is not for making money but I want to show up my thought through writing. That’s why most of my writings in some online media don’t make money. I like sharing my thought and it comes purely from my heart. Knowing that I have “something” in my writing skill, I believe with the touch and combine of my creativity, I can make more than just writing in some online media. That is writing a book. I started from the simple one. It is an e-Book for children. I gave its title: “What Prayers Does Mommy Teach Me?”. Several months later it continued with another e-Book. It is Poem Anthology, titled "Dancing in My World", and then it continued with cooking book, titled "Amerindo Kitchen in Series" as my own creation 100%. From three creations I had done, I was sure I could do more than those. Writing Novel was the next step. So now, I will answer your question honestly that as a published author for me is a pleasure and dream more than pursuing it as a career. I feel satisfied every time I have done with my new creativity and I would love to bring them to the world and it is not only hiding in my flash disc, he, he, . . . Also I believe many people think that career is identical with making money. I don’t make much money from my two e-books and a cooking book before because I focus to donate some of the revenue to support Cystic Fibrosis Foundation, Cancer Research and Unreached Children Program. 2. Do you have a mission in your writing? Yes, I have. Through my writings, my readers can take learning for every story I have written and I hope it can motivate them and give an inspiration in their life. 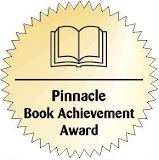 Also for every single of purchased book, I will donate some revenue/royalty to be used for my other books/e-books’ marketing purposes to support Cystic Fibrosis Foundation, Cancer Research Program and Unreached Children Program. 3. Why do you choose them? I have the reasons why I choose them. First, I would like to show my deep support and love to my son who is struggling in having Cystic Fibrosis, one of the killer diseases in USA, especially for the children. Through my small donation, I believe every small amount will help CF foundation to keep running their research of this disease and will help many children in the world who have this disease, including my son to live longer. Second, I have family and friends or my friends’ family who ever had cancer and even some of them passed away. Most of them are women. I believe cancer is the scariest disease for women, including me. I would be very happy to show my support through my small action in Cancer Research Program. Third, I love children. I ever gave my free private course to two children from two very poor families in Indonesia. I think now they have been as the young men already. From there my heart had been touched deeper to always find a way even small thing to support the poor children. I hope from Unreached Children Program, my small donation will always help to establish their activities. 4. How hard is it to be a published author? To be a published author is not an easy thing. I must have passion and discipline to realize it. It means there are many challenges to face them. 5. Do you think that marketing efforts from the publisher play a vital role to the success of your book? Publisher and authors have to work together to market the books. 6. About your latest novel book and e-book "Enthusiasm", Could you brief the story inside your book? I narrate the journey of my life and share how enthusiasm played a vital role in pursuing my dream in the writing world—with English as my second language—in my new country, USA. Here, I exemplify my experiences, my family and relationships, my inspirations, and my passage towards my remarkable goals. This novel is a reflection of my own life, how I faced obstacles, how I handled life, how I inspired and touched other people’s lives through my works, and how I achieved the amazing successes of my life and endeavors—a perfect blend of life’s spices.Through my novel, readers will be affected by my wonderful story. Filled with hope and inspiration, strength and enthusiasm, this novel will draw out the best within its readers’ hearts and minds. 7. What kind of author do you want to be in the future, a best writing author or a best selling author? I always have desire to inspire my readers. What I want to be is becoming an inspiring author. If I have to choose which one of those choices for my future--a best writing author or a best selling author--I will let my readers to choose. 8. What was the most life changing experience you wrote in your book Enthusiasm? The answer is my writing life. 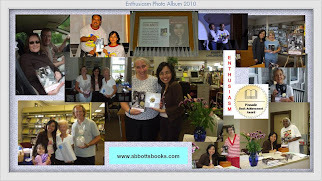 When I wrote my two e-books and coobook before are different with this one, "Enthusiasm". I spent a lot of my time totally to write this book, page by page, chapter by chapter and I could feel the real person becoming as a writer. I really didn't know why I was so enthusiastic in writing this book. Sometimes I spent several hours but I just only wrote not more than two pages. I did more in reading and searching to complete my story. This effort needs my patience. And as its title itself I had written this "Enthusiasm" as I had been so enthusiastic in writing it. I could feel it and it was--I had written it in my story. So actually this novel is a story about itself. 9. What plan do you have in mind after writing Enthusiasm? What are they? I have prepared to write my second and third novel. I haven’t written them yet but the themes and stories have been in my mind. 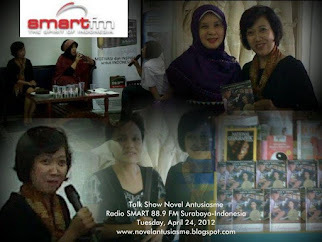 The second novel will be a true romance story and the third novel will be as the next Enthusiasm Saga. I’m also planning to write non fiction book in Indonesian in the next upcoming years. 10. Could you give some advices for women who aspire to take up writing as their career path? If they want to take up writing as their career path or if I may mention as a real writer, don’t ever think that you just want to write because it will give you much money. Well… I don’t say that you may not make money from writing but don’t put it in the top of your list as a career if you just want to be a writer because you will make much money. Remember, there are many competitions around you, regionally, nationally or even internationally. Become a great writer will take long path or journey and it is not easy. You have to make serious effort to make it happen. Writing also is a process and passion. You can not become a real writer in just one or several years. It can be at least five or ten years from the time you want to start to write. Now my question to them: do they still want to be a writer as their career? 11. What messages do you convey to your readers especially women and moms so they can learn and benefit from your book? Whoever you are, a single Mom or Mom with a child or several or some children, or even a single woman, no matter what and how you do, if you have a dream or goal in your life, realize it with great effort and enthusiasm. Though if you even don’t know the end of the result, it will be realized or not, at least you have tried and let God do the rest. Through this way, you will make yourself happy and you won’t be sad or disappointed if there is nothing comes up, even small. Thank you for your time to answer my questions. It is very honored to have a very nice interview with me. I look forward to read your novel soon. This book will be a memorabilia of you and our friendship. You are poetic and I'm not. But we have something in common. We're WOMAN and MOM. I will learn your positive energy and your kind heart from your book. You're very welcome, Viviana. I'm impressed and feel honored to have a such supported friend in the blogosphere who is interested to have an interview with me regarding my first published novel. Viviana Widjaja is a work at home mom of two kids, living in Malaysia with many interests. She runs an online toys store, Kidzpuzzle and shares her knowledge and experience in parenting at Resources for Moms and Kids as well as professional blogging at Guide to Pro Blogging. She is also one of the team leaders in The Million Dollar Mom besides running Internet Business Strategy Training Centre and coaching moms who want to build their internet network marketing home business. She passionately encourages every mom to build an online home business and embrace internet skills.